The academic personnel and appointment policies that have been standardized and placed into the official university policy format are posted online at the University Policy Office, and are available in the Human Resources Volume of its library (Volume 6). 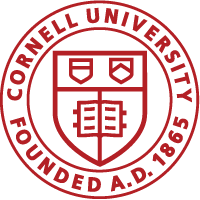 The URL of currently standardized university policies is: http://www.dfa.cornell.edu/treasurer/policyoffice/. Those that have not yet been standardized and placed into the official university policy format are listed at this site also. The policies are periodically updated and should be consulted for more complete information than this handbook contains on matters related to academic appointments. Additional assistance may be obtained from the academic department’s administrative office, the college office, the Office of Academic Human Resources, or the Office of the University Faculty. A commitment to affirmative action and equal opportunity constitutes one of the highest priorities of the faculty, the administration and the trustees of the university. The university has an office, designated by the provost, with responsibility for diversity. The university’s Office of Workforce Diversity and Inclusion, in the Office of Human Resources, works with this office. Academic and nonacademic units have appointed an affirmative action representative. This administrative structure assists the university in implementing affirmative action policies and procedures. Except in rare special circumstances, or when an appointment is temporary—expected to terminate in one year or less—vacant academic positions must be filled by conducting a formal search. Authority to initiate a search comes from a dean, or in the case of centers, from an executive officer. Before a search is begun, an affirmative action search plan must be submitted to the dean or executive officer for approval and also to the office designated by the provost for assuring compliance for equal employment opportunity laws. This office assists the dean’s office and the search committee with affirmative action aspects of the search. When the search has been completed, an appointment confirmation and search summary (ACSS) form must be prepared and submitted to the dean, along with a copy of the search plan, the Employment Eligibility Verification form (I-9), tax forms, the appointment letter, an HR Online transaction, and in some cases, a patent agreement may be required.